Sainsbury’s “Low-Alcohol Czech” is a light-bodied and refreshing pilsner-style lager. Get tasting notes, and find out its ingredients and nutritional content including carbs, sugar and calories. 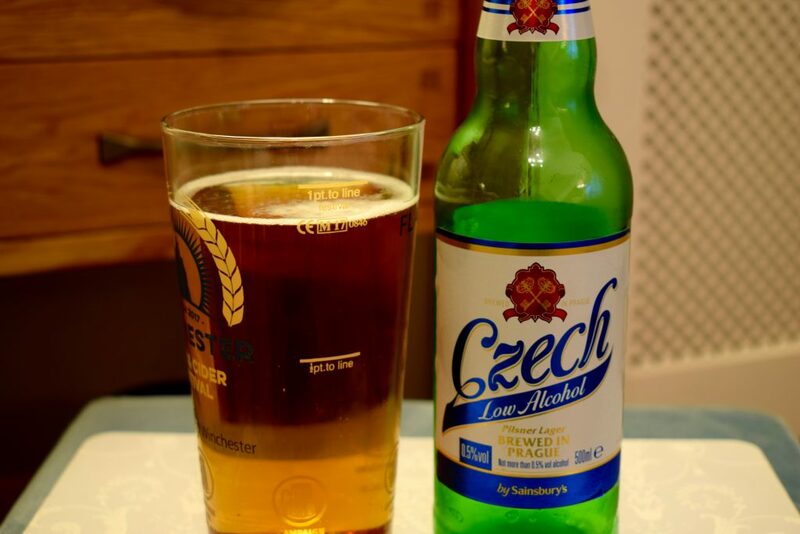 From the home of pilsner, the Czechs know how to produce a good lager. 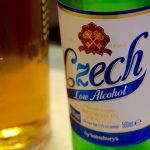 Hence why major supermarkets like Marks and Spencer and Sainsbury’s source many of their own-label beers in the Czech Republic. 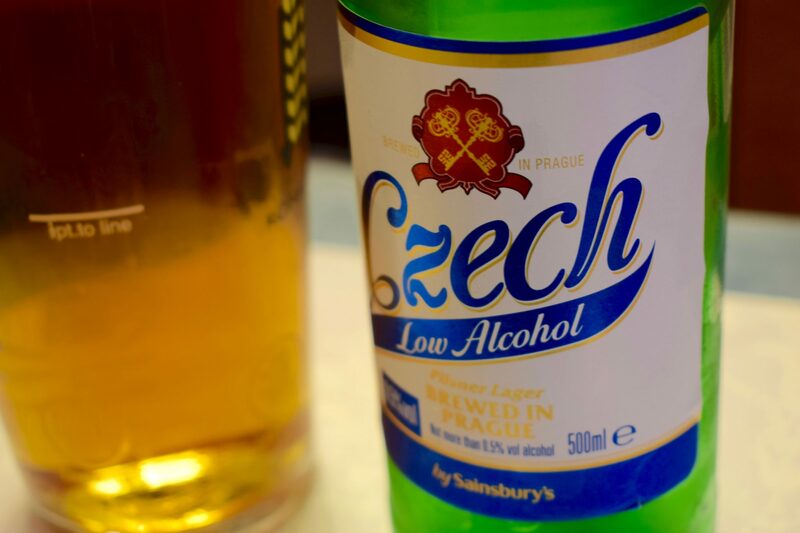 This Sainsbury’s low-alcohol pilsner, simply named “Czech”, is one of those re-branded beers. It’s brewed in Prague by the Molson Coors-owned Staropramen Brewery and bottled in the UK by Marston’s. And its ingredients include hop oil for extra bittering. So it’s no craft beer. Importantly though, is it any good? Czech pours a clear golden colour with a decent head. The froth takes a hit once it settles. But it doesn’t completely disappear before you get stuck in. On the nose, Czech has a clean, malty aroma. There’s a smidgen of pine in there too. The smell doesn’t give away that it’s low in alcohol. On tasting, the clean malty theme continues. There’s bitterness balanced with a little sweetness and hint of fruit and grass. It’s fresh-tasting and easy to drink. There’s a metallic twang to the aftertaste but it’s not too unpleasant and nothing like the metallic or chemical flavour you’d get from a cheap full-strength lager. The finish is medium dry, which leaves you wanting more. The mouthfeel is OK for a low alcohol lager and it’s well carbonated without producing too many burps. This is a decent low-alcohol pilsner and a great option for if you’re a lager drinker who wants to avoid alcohol.